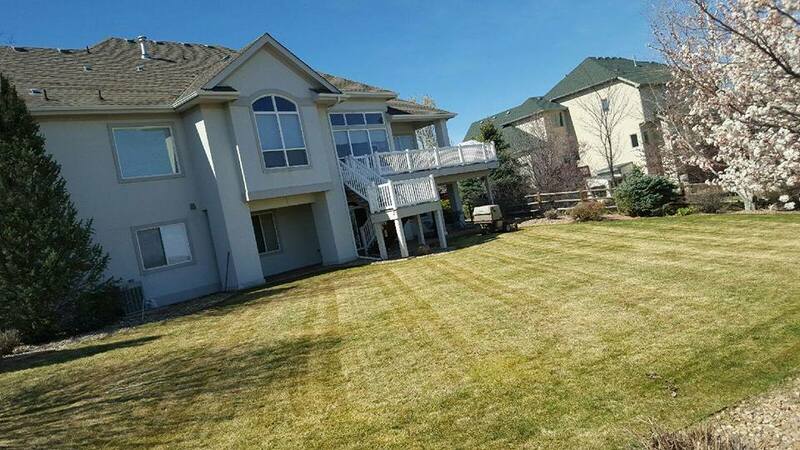 When you contact us here at the Fort Collins mowing company, what you will then receive is a professional service from start to finish that will ultimately turn your lawn from being just a normal, run of the mill lawn into something spectacular. Caring for your lawn correctly takes more work than most people realize. Also, it can take an expert eye to identify problems and to know how to correct them before they are really able to take hold. Furthermore, it is known that regular quality maintenance of your lawn is also going to reduce the chances of a multitude of problems even developing in the first place. However, you clearly do not have the required time in order to do this, but that is where we are going to come into play. We have a vast amount of experience in dealing with lawns, and our level of knowledge is going to be second to none. In addition, we know when to cut, how to cut, when to repair, feed, deal with drainage or anything else that you care to imagine that could be connected to a lawn. If you were of the opinion that it was merely a case of mowing it and that was all, then you would be wrong. Let’s face it, having a pristine lawn is going to be something to be proud of. In many areas it is even regarded as being a sign of prestige and that you are taking care of everything in your life. There is so much more to it from a meaning point of view than you could have ever imagined, and it goes way beyond the idea of it just being nice to look at. Here at the Fort Collins Mowing Company, we will first of all check out your lawn and see the level of care that it needs in order to get it up to the high standards that you are perhaps looking for. We will be able to sit down with you and discuss the best way forward, and what the costs are going to be for the regular maintenance. We certainly do not believe in hiding any costs associated with our services, so rest assured that the price that you are told will be the price that you end up paying. So, if you live in the Fort Collins area and want to either maintain your lawn or see a vast improvement in its health and visual appearance, then do not just sit there and struggle all on your own. Make life easier for yourself by giving us a call and we will be more than happy to help. Remember, you will be taking advantage of an extensive amount of experience, so why would you not want to go ahead and just do that?